Black Desert Online has surpassed $1 billion in gross sales. The fantasy MMO has launched in over 150 countries, and has hit a player base of more than 18 million players across PC, Xbox One, Android, and iOS since it first launched back in 2015. The company has also confirmed today it plans to launch the game globally on mobile, which makes up for 30 percent of the game’s sales, by the end of the year. “We’re proud of what this achievement represents - the hard work and dedication from our teams over the past four years and the support from a community of fans around the world,” Pearl Abyss CEO Robin Jung said in a statement. The mobile version of the game was just what Pearl Abyss needed to find its tipping point with Black Desert Online. When it was starting to roll out, 1.5 million players were already registered for the game in Hong Kong, Machu, and Taiwan. In fact, as of December last year, the mobile version was already making three-times as much revenue as the PC version was. In that period, BDO PC made $24 million, while BDO Mobile made $79 million. On top of ongoing work on BDO and continued development on its proprietary engine, Pearl Abyss is working on new games within the MMO genre, although no more details were given on that front. Pearl Abyss did announce a while back it was working on three games: an MMOFPS codenamed ‘Project K’, an MMO called ‘Project Omega’, and the previously-announced Project Nova, the MMOFPS set within the EVE Online universe thanks to its take over in November last year of the Icelandic-based franchise overseers CCP Games. The two companies are also currently working on localisation for EVE Online in Korea. 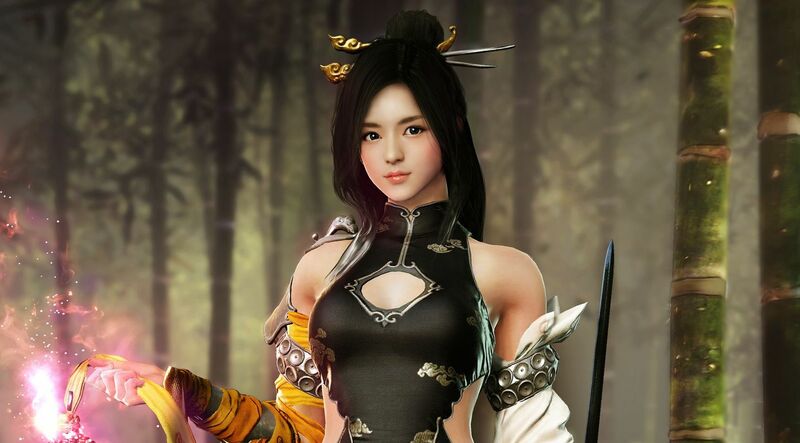 Pearl Abyss, which was founded in 2010 by Dae il-Kim who still remains at the company as development director despite becoming a billionaire after the company’s IPO, also announced its intent on bringing Black Desert to more platforms and other countries the game isn’t available in right now.